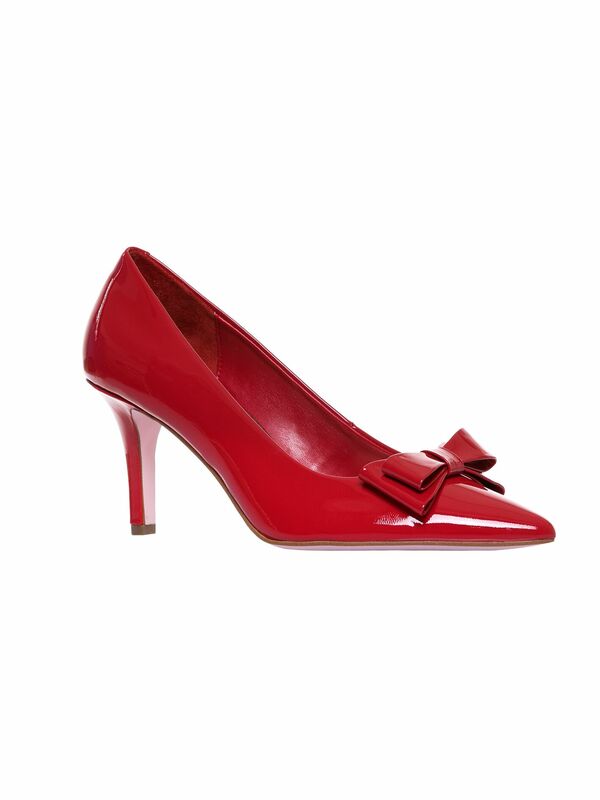 Minnie Pump/heel https://www.review-australia.com/global/minnie-pump-heel-red/RE18ACC116.RERED001.html Put your best foot forward in the Minnie Pump in Red. 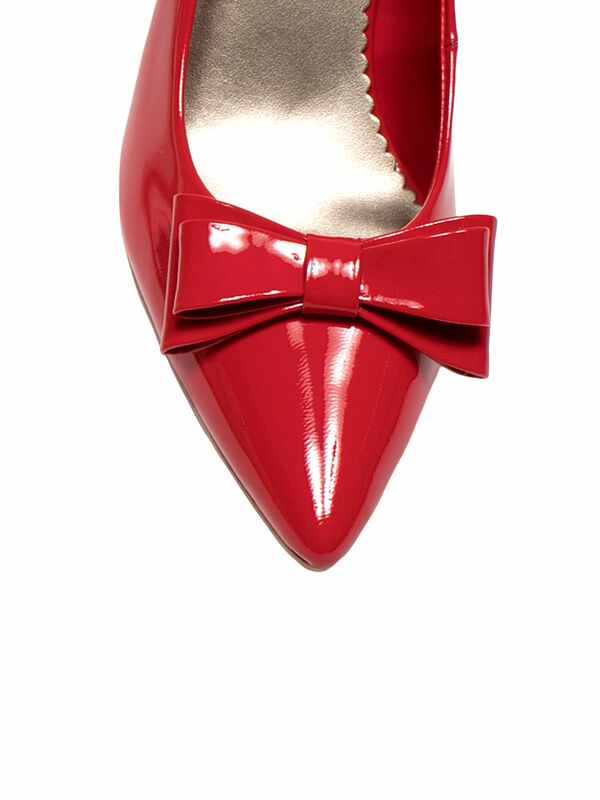 This patent leather pump features a pointed toe and a cute double layered bow. 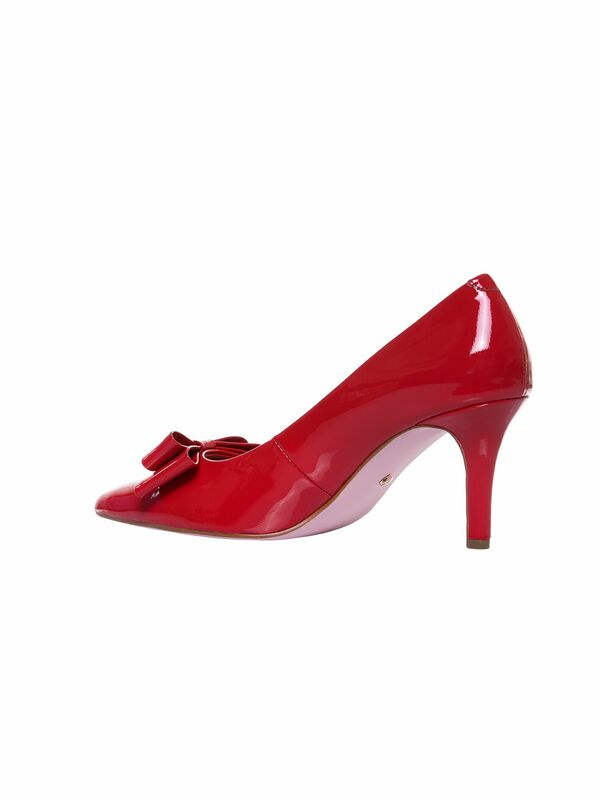 With a 7cm heel this pump is comfortable and classy! 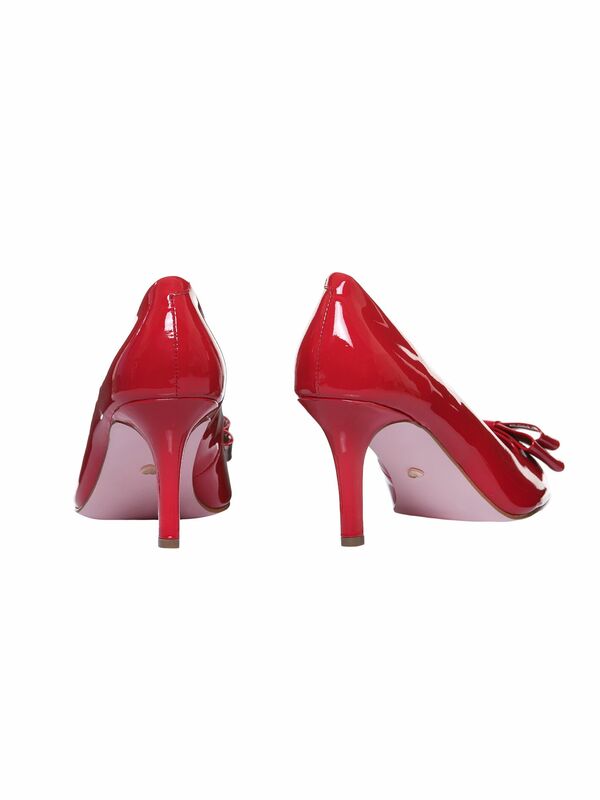 In iconic Review style this shoe features a pink sole with metal love heart detail. Worn with the Archer Dress.